eNotify - Outstanding Support, Supporting you to Outstanding! Android, iOS and Windows mobile app that students can download. 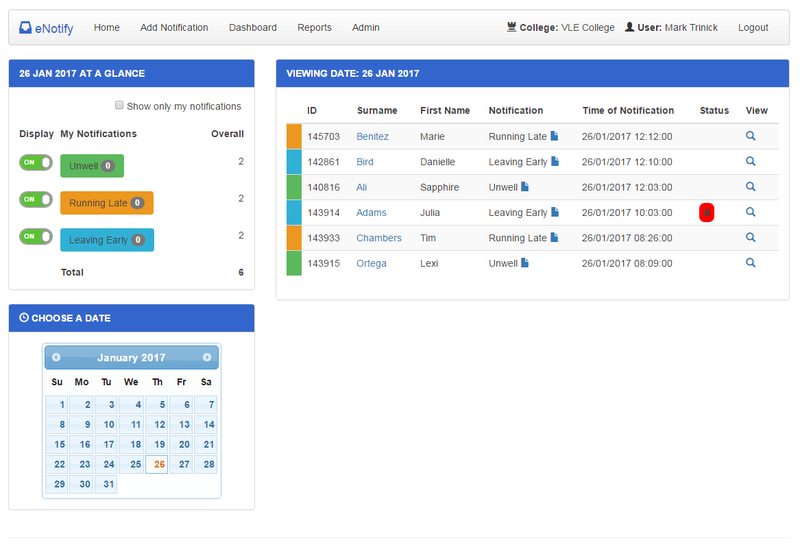 The app connects automatically to the college data, and enables the student to press a button to notify the college. eNotify collates statistics about the notifications and displays them in a live dashboard, enabling the analysis of notifications types and trends. Detailed notification screen lists all the notifications that have been received on a selected date. They can be filtered, add notes and view more detailed information. 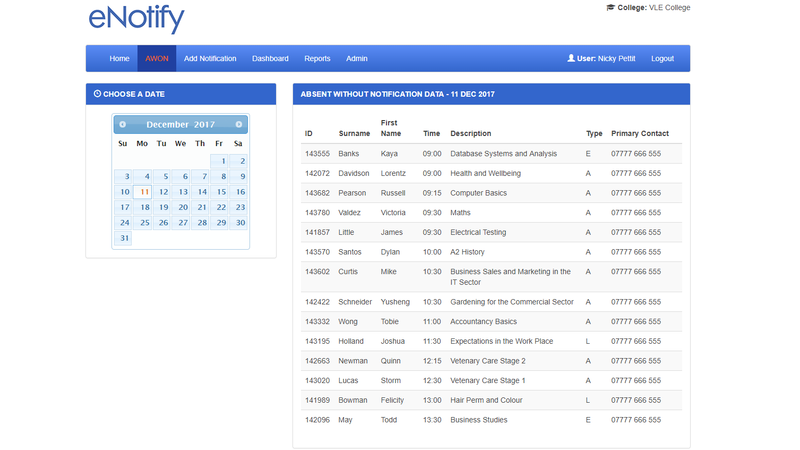 eNotify links with your register system to show students who are absent and have not notified the college. At the start of lessons, do teachers know which students are authorised absent & who will turn up late? Improve safeguarding by sharing information about absence & lateness in a more efficient way. Does your organisation need to save money on its administrative costs? 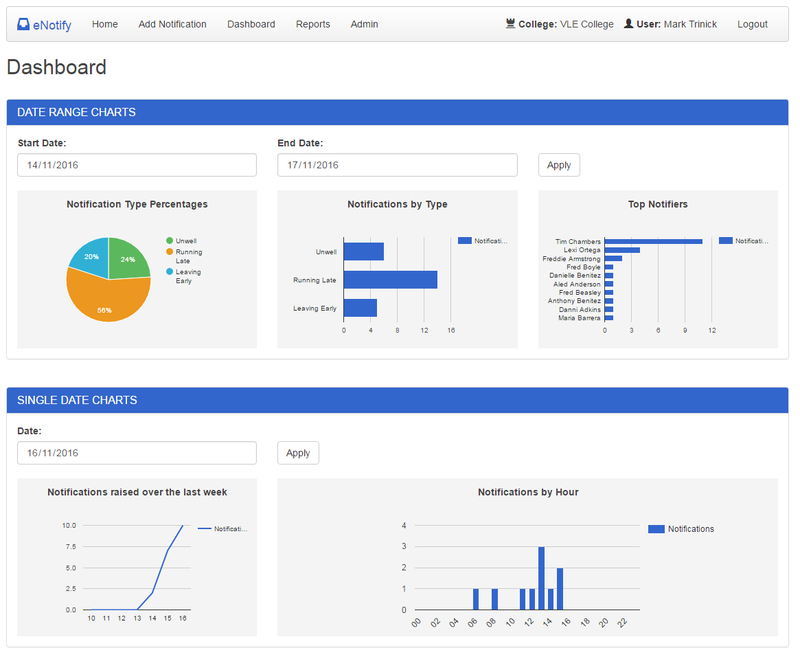 eNotify is a brand new product which will revolutionise the way student absence information is reported and shared with staff, making sure everyone gets the message exactly when they need it. eNotify has been hugely beneficial to Newcastle College. 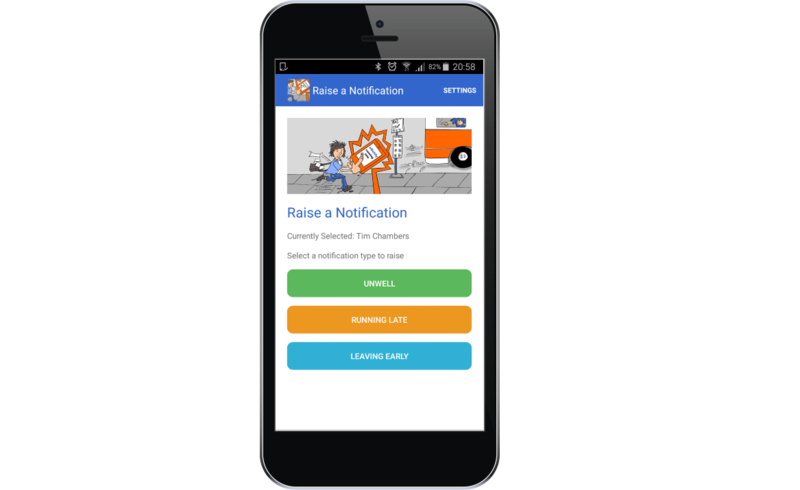 eNotify is a really simple and efficient system, which enables relevant members of staff to instantly receive notification of student absence. When we first purchased eNotify we used it as a standalone product which was great, however since then we have used it in conjunction with eTrackr and the integration is fantastic – we are now able to access all our absence data directly from eTrackr, which is really handy.